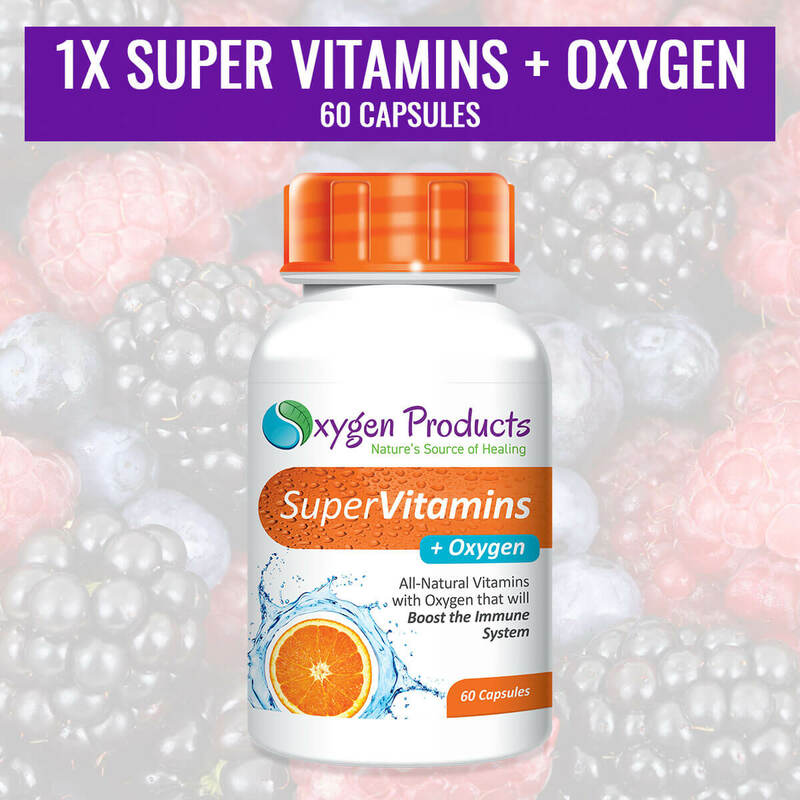 Super Vitamins +Oxygen provides you with the benefits that Mega Oxygen ™ provides along with a robust multivitamin that removes all of the stress and uncertainty out of managing the vitamins in your diet. Rich in Vitamins from A to E (and especially C), as well as calcium, potassium, iron, protein and more. Super Vitamins + Oxygen can easily be your one-and-only multivitamin supplement. Ingredients: Ginkgo Biloba, Magnesium O2, Zinc, Sutherlandia, MSM, Moringa Powder, Calcium, Iron, Copper, Potassium, Phosphorus, Vitamin A. Vitamin B1, Vitamin B2, Vitamin B3, Vitamin C, Vitamin E, Protein. 1X Super Vitamins +Oxygen (60 Capsules) Bottle.